After recovering from a serious head injury that he had sustained in 2006, Petr Čech has subsequently worn a rugby style headguard during his matches. The 1990 FIFA World Cup was the 14th FIFA World Cup, the quadrennial international football world championship tournament. It was held from 8 June to 8 July 1990 in Italy, teams representing 116 national football associations entered, and qualification began in April 1988. A total of 22 teams qualified from this process, along with host nation Italy, the tournament was won by West Germany, their third World Cup title. They beat Argentina 1–0 in the final, a rematch of the final four years earlier. Italy finished third, and England fourth, after both lost their semi-finals in penalty shootouts and this was the last tournament to feature a team from the divided Germany, with the country being reunified in 1990. Costa Rica and the UAE made their first appearances in the finals, the official match ball was the Adidas Etrusco Unico. The 1990 World Cup is widely regarded as one of the poorest World Cups and it generated an average 2.21 goals per game – a record low that still stands – and a then-record 16 red cards, including the first ever dismissal in a final. This World Cup saw the introduction of the pre-match Fair Play Flag to encourage fair play, negative tactics led to the introduction of the back-pass rule in 1992, and three points for a win instead of two at future World Cups. Nonetheless, the 1990 World Cup stands as one of the most watched events in television history and this was the first World Cup to be officially recorded and transmitted in HDTV by the Italian broadcaster RAI in association with Japans NHK. At the time it was the most watched World Cup in history in non-unique viewers, the vote to choose the hosts of the 1990 tournament was held on 19 May 1984 in Zürich, Switzerland. Here, the FIFA Executive Committee chose Italy ahead of the rival bid. This awarding made Italy only the nation to host two World Cup tournaments, after Mexico had achieved this with their 1986 staging. Italy had previously had the event in 1934, where they had won their first championship, England, Greece, West Germany and Yugoslavia submitted initial applications for 31 July 1983 deadline. In the sport of association football, each of the 11 players on a team is assigned to a particular position on the field of play. A team is made up of one goalkeeper and ten players who fill various defensive, midfield. These positions describe both the main role and their area of operation on the pitch. In the early development of the game, formations were much more offensively aggressive, in the latter part of the 19th century, the 2–3–5 formation became widely used and the position names became more refined to reflect this. As the game has evolved and team formations have changed, the term half-back fell out of use by the early 1970s and midfield was used in naming the positions that play around the middle third as in centre midfield and wide midfield. The fluid nature of the game means that positions in football are not as rigidly defined as in sports such as rugby or American football. Even so, most players play in a limited range of positions throughout their career, as each position requires a particular set of skills. Footballers who are able to play comfortably in a number of positions are referred to as utility players, however, in Total Football tactics, the players are only loosely defined into a position. This tactic required players who were extremely versatile, such as Johan Cruyff, goalkeeper is the most defensive position in football. 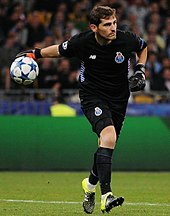 The goalkeepers main job is to stop the team from scoring by catching, palming or punching the ball from shots, headers. Unlike their teammates, goalkeepers typically remain in and around their own penalty area for most of the game, as a result, goalkeepers have a better view of the pitch and often give advice to their defence when the other team is on the attack or during set pieces. Goalkeepers are the players on the pitch who are allowed to handle the ball. Positioning is another important job and is one of the hardest to master as keeper, goalkeepers must wear a different coloured kit from the outfielders and officials. Common colours include yellow, grey and shades of blue, since the 1970s, goalkeepers have typically worn specialised gloves. The Hungary national football team represents Hungary in international football and is controlled by the Hungarian Football Federation. Hungary has a football history, having won three Olympic titles, finishing runners-up in the 1938 and 1954 FIFA World Cups, and third in the 1964 UEFA European Football Championship. 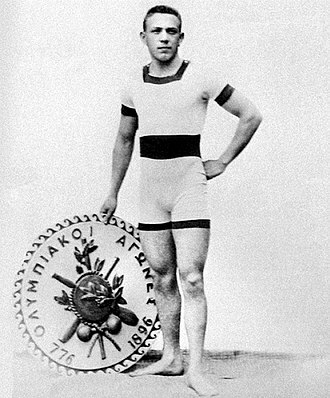 The national side first appeared at the Summer Olympic Games in 1912 in Stockholm, the team had to ask for donations in order to be able to go to the games. Hungary lost 7–0 to England and thus were eliminated, after the Olympic Games Hungary played two matches against Russia in Moscow. The first match was won 9–0 and the second 12–0, which is still a record for the national side, the top scorer of the two matches was Imre Schlosser who scored seven goals. The beginning of World War I had a impact on the thriving Hungarian football. Both the country and the clubs were suffering financial problems, during World War I Hungary played Austria 16 times. In 1919 England claimed the exclusion of the Central Powers from FIFA, when FIFA refused Englands plea, the British and Irish associations decided to resign from FIFA. Budapest was denied the opportunity to host the 1920 Summer Olympics, the countries of the Central Powers were excluded from the Olympics. During this period the Fogl brothers played in the national team, the formation the Hungarians used was 2–3–5 which was unique at that time. The national team played at the 1924 Summer Olympics in Paris, in the first match Hungary beat Poland but in the second round they lost to Egypt. As a consequence, both the coach and the head of the Hungarian Football Federation resigned. Between 1927 and 1930, Hungary participated in the Europa Cup, which is considered to be the first international tournament, with Austria, Switzerland, Russia, in the final, Hungary lost to Russia. On 12 June 1927, Hungary beat France by 13–1, which is still a record, the first FIFA World Cup was held in Uruguay in 1930, but Hungary were not invited and did not take part in the tournament, there were no qualification matches. Hungary first appeared in the 1934 World Cup in Italy, Hungarys first World Cup match was against Egypt on 27 May 1934, a 4–2 win. 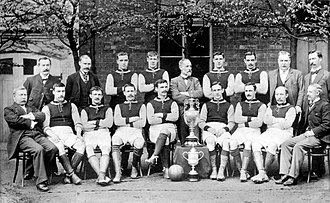 The Sheffield Rules were a code of football devised and played in the English city of Sheffield between 1857 and 1877. 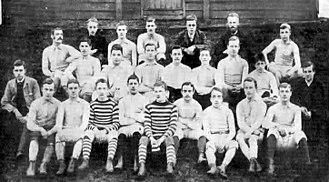 They were devised by Nathaniel Creswick and William Prest for use by the newly founded Sheffield Football Club, the rules were subsequently adopted as the official rules of Sheffield Football Association upon its creation in 1867. They spread beyond the city boundaries to other clubs and associations in the north, six years after the creation of the Sheffield Rules the Football Association rules were created. These were influenced by the Sheffield game but ongoing disputes meant that the Sheffield rules continued to be used, during this time many of the elements of the rules were incorporated into the association game. Regular games were played between Sheffield and London using both sets of rules and this led to an agreement on a single set of laws administered by the Football Association in 1877. The rules had a influence on how the modern game of football developed. Among other things they introduced into the laws of the game the concepts of corners, throw-ins, the abolition of the fair catch led to their teams to be the first to head the ball. Games played under the rules are credited with the development of heading. The first inter-club football match and competitive tournament were played using Sheffield Rules. 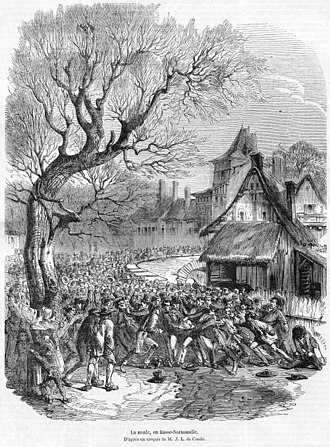 The oldest recorded football match in Sheffield occurred in 1794 when a game of mob football was played between Sheffield and Norton that took place at Bents Green, the game lasted three days, which was not unusual for matches at the time. It was noted that there were some injuries no-one was killed during the match. The Clarkehouse Road Fencing Club had been playing football since 1852, the city was home to a number of sports clubs and the popularity of cricket had led to the chairman of Sheffield Cricket Club to suggest the construction of Bramall Lane. By the 1850s there were versions of football played in public schools. Each school played by their own code despite an attempt by Cambridge University to unify them in 1848 and their rules were generally inaccessible outside of the schools. There the football tended to be unorganised and fairly lawless games known as mob football, although there are matches between small, equal numbered teams it remained a minority sport until the 1860s. A corner kick is a method of restarting play in a game of association football. It was devised in Sheffield under the 1867 Sheffield Rules and it was adopted by the Football Association on 17 February 1872. A corner kick is awarded to the team when the ball leaves the field of play by crossing the goal line without a goal having been scored. The kick is taken from the corners of the field of play nearest to where the ball crossed the goal line. Corners are considered to be a reasonable goalscoring opportunity for the attacking side, the referee awards the corner by pointing to the relevant arc. When taking a kick, the ball is initially placed so that at least some part of the ball is within the corner arc closest to where the ball went out of play. The corner arc is located at the intersection of the goalline and touchline and has a radius of one yard, all defending players must be at least ten yards from the corner arc until the corner kick is taken. 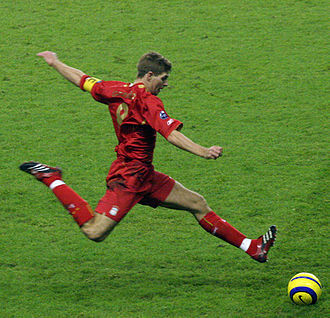 A corner kick is taken as soon as the ball is kicked, the attacking side may score directly from a corner kick, though this is uncommon. An attacking player who receives the ball from a corner kick cannot be penalised for offside. Opposing players must retire the required distance as stated above, failure to do so promptly may constitute misconduct and be punished by a yellow card. A common tactic is for several attackers to stand close in front of the goal, the defending team may choose to form a wall of players in an attempt to force the ball to be played to an area which is more easily defended. However, this is not done often because defending players must remain at least 10 yards from the ball until it is in play. The defending team has the choice of whether to instruct a player to him or herself beside one or both of the goalposts to provide protection to the goal in addition to the goalkeeper. The defending team has to decide how many players it needs to defend a corner, two popular strategies used for defending corners are called man marking and zonal marking. Man marking involves each player at a corner given an attacking player to defend. A throw-in is a method of restarting play in a game of association football when the ball has exited the side of the field of play. The throw-in is taken by the opponents of the player who last touched the ball when it crossed the touch-line, opposing players may stand at any distance from the thrower but no closer than 2 m, so long as they are still on the pitch. A player may take a throw-in at a further back from the touch-line. At the moment of delivering the ball, the thrower must face the field of play. He or she should have part of each foot either on the line or on the ground outside the touch line. The ball becomes in play as soon as it enters the field of play and leaves the hands of the thrower. A goal cannot be scored directly from a throw-in, if a player throws the ball directly into their own goal without any other player touching it, the result is a corner kick to the opposing side. 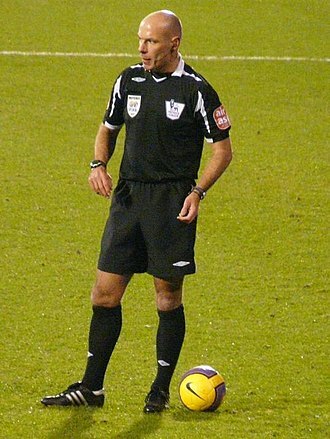 Likewise an offensive goal cannot be scored directly from a throw in, a player may not be penalised for an offside offence when receiving the ball directly from a throw-in. Skillful attackers can sometimes take advantage of this rule by getting behind the last defender to receive the throw-in, the optimal release angle for attaining maximum distance is about 30 degrees, according to researchers at Brunel University. The optimal angle would be 45 degrees if the release velocity did not depend on the angle of throw, according to the study, players are able to throw the ball with greater release velocity for lower angles. Also the optimal angle for fixed release velocity is lower than 45 degrees because of air drag. If the thrower fails to deliver the ball per the procedure, or delivers it from a point other than where the ball left the field of play. This is commonly known as a throw, though such throws are not considered fouls. It is legal to throw the ball into the goal with no contact, the restarts are a goal kick for the defending team and a corner kick for the attacking team, respectively. If any player touches the ball before it goes into the goal, a goalkeeper cannot handle a ball thrown directly to him or her by a teammate. A football is a ball inflated with air that is used to play one of the various sports known as football. The first balls were made of materials, such as an inflated pig bladder, put inside a leather cover. Modern balls are designed by teams of engineers to exacting specifications, with rubber or plastic bladders, the oldest football still in existence, which is thought to have been made circa 1550, was discovered in the roof of Stirling Castle, Scotland, in 1981. The ball is made of leather and a pigs bladder and it has a diameter of between 14–16 cm, weighs 125 g and is currently on display at the Smith Art Gallery and Museum in Stirling. In Canada and the United States, the term usually refers to a ball made of cow hide leather. 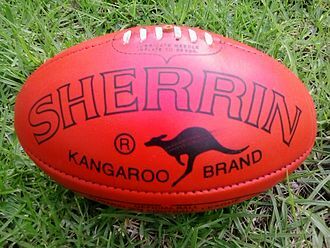 Footballs used in recreation, and in organised leagues, may be made of rubber or plastic materials. Since 1941, Wilson has been the supplier of leather for National Football League footballs. The arrangement was established by Arnold Horween, who had played and coached in the NFL, Horween Leather Company supplies leather to Spalding, supplier of balls to the Arena Football League. Leather panels are typically tanned to a brown color, which is usually required in professional leagues. At least one manufacturer uses leather that has been tanned to provide a grip in dry or wet conditions. Historically, white footballs have been used in games played at night so that the ball can be more easily, however. However, the NFL once explored the usage of white-striped footballs – in Super Bowl VIII, in the CFL the stripes traverse the entire circumference of the ball. The UFL used a ball with lime-green stripes, two indoor American football leagues, the Ultimate Indoor Football League and American Indoor Football, use a ball with red and blue panels. The weight specified for a ball is the dry weight, as older balls often became significantly heavier in the course of a match played in wet weather. The standard ball is a Size 5, although smaller sizes exist, Size 3 is standard for team handball and Size 4 in futsal, other sizes are used in underage games or as novelty items. Most modern Association footballs are stitched from 32 panels of waterproofed leather or plastic,12 regular pentagons and 20 regular hexagons, the 32-panel configuration is the spherical polyhedron corresponding to the truncated icosahedron, it is spherical because the faces bulge from the pressure of the air inside. Manuel Peter Neuer is a German professional footballer who plays for Bundesliga club Bayern Munich and the Germany national team. He is a goalkeeper and serves as vice-captain for Bayern Munich, in 2014, Neuer finished third in the voting, behind Lionel Messi and Cristiano Ronaldo, for the FIFA Ballon dOr award. The same year, he was ranked the third-best player in the world by The Guardian, Neuer played for Schalke 04 II during the 2003–04, 2004–05, 2006–07, and 2008–09. Neuer signed professional terms in 2005 after progressing through every age group at his hometown club, Neuer didnt make any first team appearances during the 2005–06 season. He made his Bundesliga debut with Schalke when he came on to substitute the injured Frank Rost on matchday 2 of the 2006–07 season, the 20-year-old eventually won the starting position when Rost was surprisingly dropped for the crunch clash against Bayern Munich. Neuer did not disappoint and managed to secure a 2–2 draw against the defending champions and he made 27 league appearances during the 2006–07 season. Despite his young age, he was tipped to be a potential successor to his former idol Jens Lehmann in the future for the German national team. 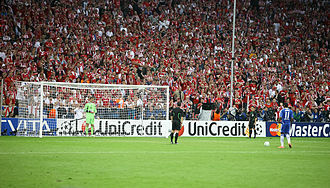 Neuer started the 2007–08 season by playing in three matches in the German League Cup, on 5 March 2008, in the first knockout round of the UEFA Champions League against Porto, he almost single-handedly kept Schalke in the game with several saves, forcing the game into penalties. He saved penalties from Bruno Alves and Lisandro López to help Schalke advance to the quarter-finals, for his heroics, he was shortlisted for the 2007–08 UEFA Club Goalkeeper of the Year award, he was the youngest as well as the only Bundesliga goalkeeper on the list. 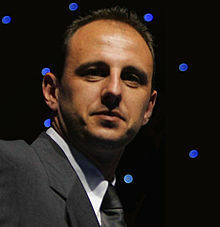 He was one of only three Bundesliga players to every minute in the 2007–08 season. He finished the season by making 50 appearances in all competitions, in the 2008–09 season, Schalke finished eighth in the league table and missed out on a Europa League spot. Schalkes new manager Felix Magath, insisted that Neuer will play for Schalke next season, in November, he was the only German goalkeeper in the list of five nominated goalkeepers for the UEFA Team of the Year. A midfielder plays between the defence and attack. 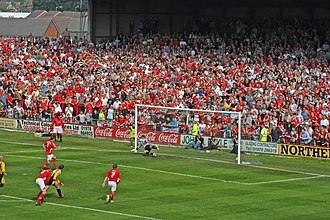 The striker (wearing the red shirt) is past the defence (in the white shirts) and is about to take a shot at the goal. Example of individual skill: Brazilian striker Pele moving at speed under pressure, lets a pass run past his opponent, circling around to shoot first time on the other side for a near miss. Official FIFA Technical Reports called the move "audaciously executed, and called for immense skill, timing, judgment and speed." Free kick trickery at work - 1970 - Brasil vs Czechoslovakia: Jairzinho and Tostao of Brasil join the end of the defensive wall, then move off as Rivelino's powerful shot strikes through the gap. David Beckham made his first international goal for England from a set-piece kick. Defenders need to cooperate closely to cope with fast moving attackers. 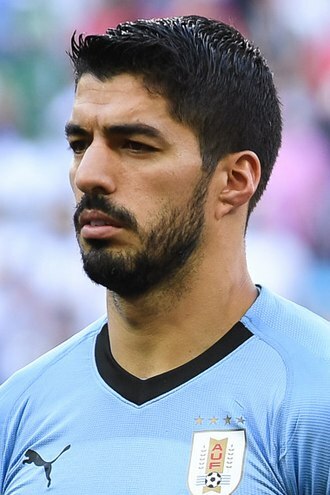 Here, one of the tightest defences in World Cup history, Uruguay 1970, is broken by a rapid three-man combination move: Jairzinho - Pelé - Tostão. The final defender, Matosas of Uruguay has no support as Jairzinho makes his final sprint. Tackles like this one in women's Australian rules football can cause injuries. Ryan Miller of the Buffalo Sabres suffers an ankle sprain. Hungarian pennant for the 1954 World Cup. The first edition of the 1858 rules.